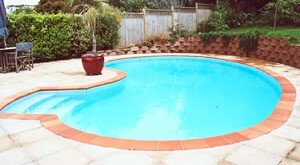 Our Deluxe swimming pools can be designed to suit your site. Almost any size and any shape pool can be constructed as you can see from the examples on this page. Pools are constructed 1.2m to 1.8m deep. 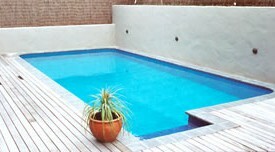 We construct our Deluxe pools with a concrete bond beam around the top of the pool edges to take the bullnose copings. Installation includes all construction materials and labour. 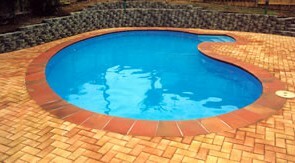 Contact us now for a quote for a Deluxe Pool or view our Price List.